Mom Among Chaos was invited to a special blogger event at the Royal Oak Noodles & Company restaurant. Personally, I'm already a big fan. I love fast casual dining out and avoid "fast food" restaurants. I had tried the Royal Oak location before and this visit was definitely an improvement. I'm looking forward to going there again soon. Everything I tried was wonderful. The only thing I didn't sample was the Pad Thai because I don't eat eggs. Another great thing about this restaurant is they will customize your food to your requests. Every dish is cooked to order. For example, if you don't like broccoli & want to replace it with carrots, no problem. You are also able to add extra items, for an additional cost. If you want to add broccoli to your mac & cheese it's only about $1.25 extra. I really enjoyed trying the new salads they now offer. 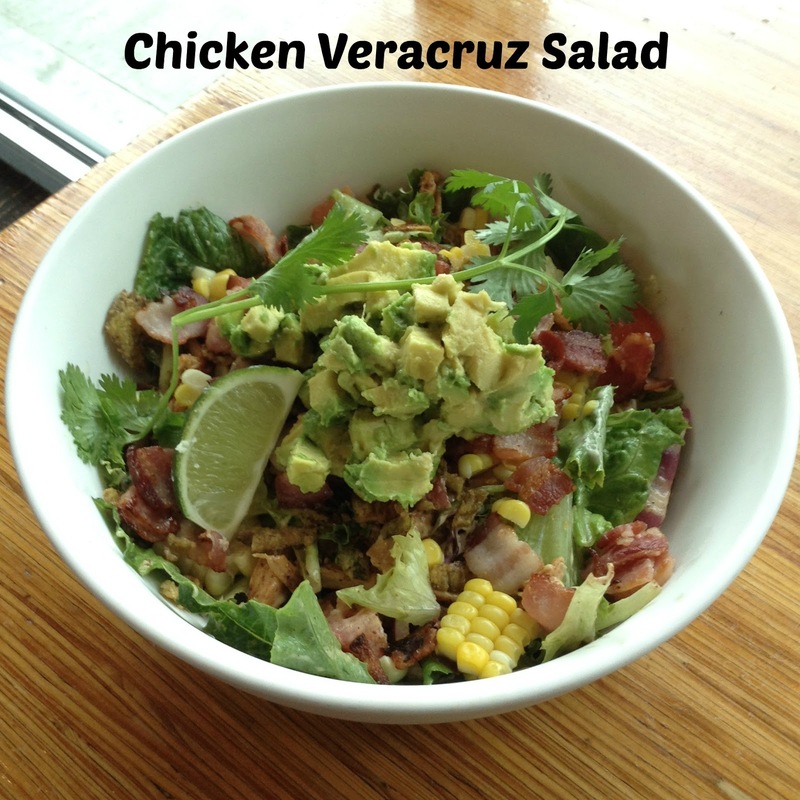 There is the Chicken Veracruz Salad, which is a little spicy because of the crispy jalapenos and Jalapeno Ranch dressing. My personal favorite is the Napa Market Salad with Chicken. 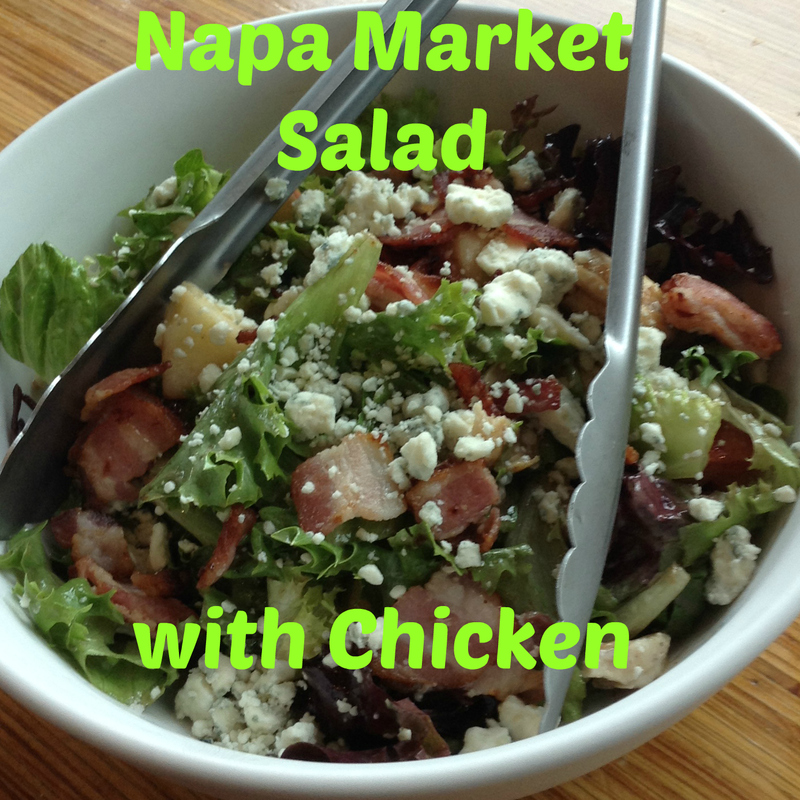 It includes mixed greens, gala apple slices, Roma tomato, red bell pepper, grilled chicken, bleu cheese, bacon, and a pomegranate vinaigrette. I love the delicious apples and yummy, sweet dressing. 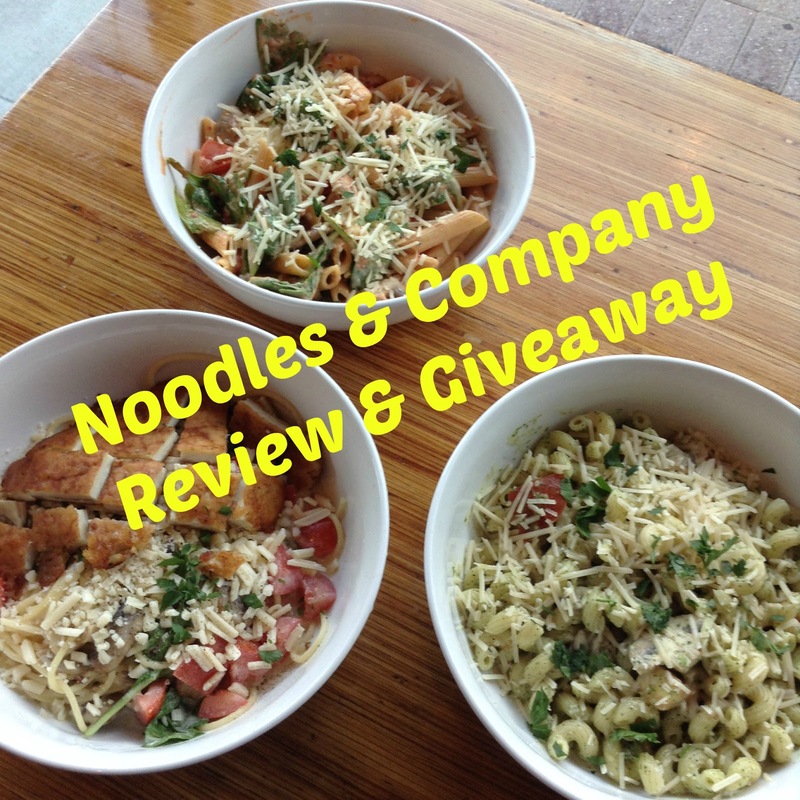 Enter to win the Noodles & Company giveaway in the form below. 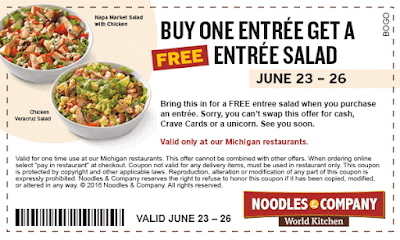 One winner will receive a certificate for one free bowl a month at Noodles and Company. Valid only at participating locations. 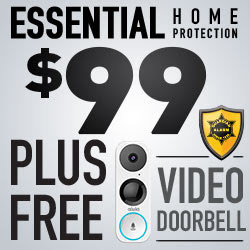 Ends 7/10. Make sure you mention Mom Among Chaos referred you. 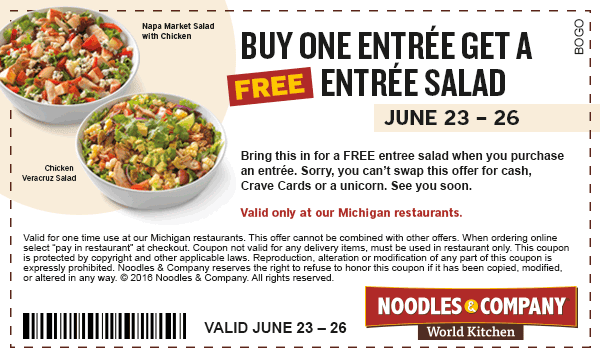 Winner must be willing and able to travel to a participating Noodles and Company location to claim their prize.